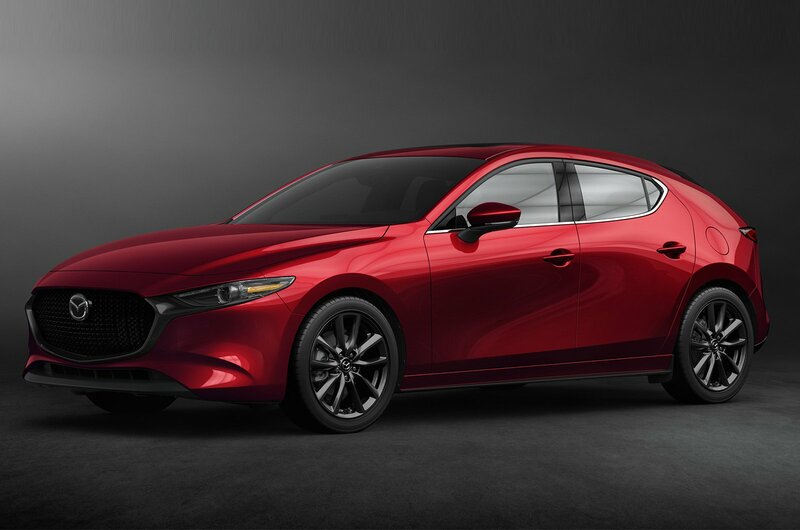 2019 Mazda 3 – price, specs and release date | What Car? 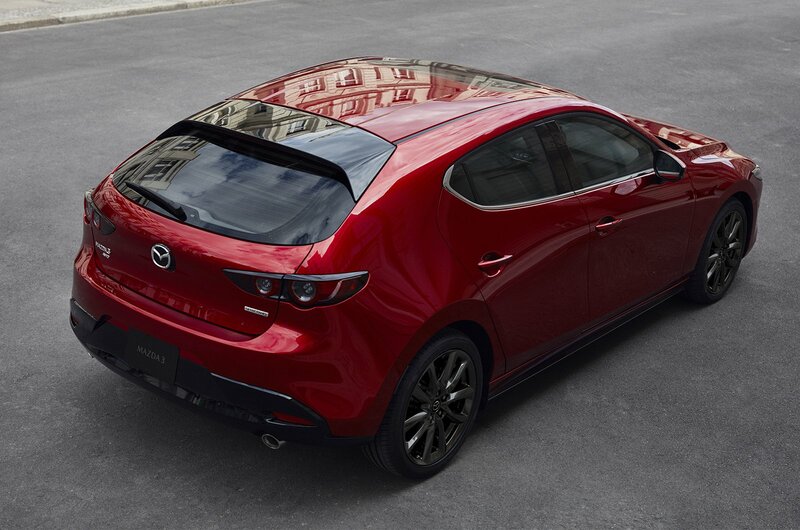 Style is a big selling point for the current Mazda 3, because while key rivals such as the Ford Focus and Volkswagen Golf are better to drive and offer more space, it's the Mazda’s looks which help it to stand out from the crowd. And next year there will be an all-new version, which is designed to elevate the 3 from its current position in the middle of the family hatchback market – it currently holds a three-star rating – and place it next to high-end hatches including the Audi A3, BMW 1 Series and Mercedes A-Class. Marginally shorter, wider and lower to the ground than today’s 3, the new model features a more rounded design, inspired by the Kai concept car of 2017, a larger front grille, a new boot-mounted spoiler and thinner headlights. There’s no word on whether those new dimensions have liberated more space inside, but the boot should be large enough for at least your weekend shopping or a set of golf clubs. Mazda hasn’t made many changes to the 3’s interior layout, but new additions include a larger, 8.8in infotainment screen, which can be controlled by either touch or through a rotary dial on the centre console. Mazda says it has also made improvements to the materials used inside, which is one area where the old car fell down next to key rivals. To help drivers get comfortable, the 3’s steering wheel now adjusts across a wider range of movement, while tilt adjustment comes as standard for the seats on all models. Speaking of the seats, they have been redesigned to maintain the natural curve of your spine when you sit in them, which should help with comfort on longer journeys. The windscreen pillars have also been slimmed down to improve visibility and minimise blindspots. The 3 also features various mechanical improvements – dubbed the Skyactiv Vehicle Architecture – that are said to improve rigidity and reduce noise and vibrations coming inside. Bigger changes are afoot under the bonnet, where buyers can choose from 1.5-litre and 2.0-litre petrol engines or, for those who cover a lot of miles, a 1.8-litre diesel. A second version of the 2.0-litre petrol engine, called the Skyactiv-X, features compression ignition, which is said to result in far greater efficiency and performance than conventional petrol engines achieve. All three petrol engines can be had with a mild hybrid set-up to further improve fuel economy and reduce CO2 emissions. 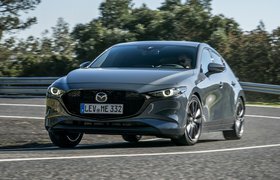 In the current 3, we recommend the 2.0-litre petrol engine, although it’s worth noting that since Mazda’s engines aren’t turbocharged, you often have to rev them harder than you would in rivals with smaller, turbocharged motors. Four-wheel drive will also be offered on the 3 for the first time. Gearbox options include a six-speed manual and a six-speed automatic. Among the 3’s new safety and assistance systems is a driver monitor that observes your eyes and sounds an alert if it deems you to be unsafe. There’s also a front cross-traffic alert that uses side radars to detect cars in your blindspots, helping when you’re pulling out of a parking bay or obscured T-junction. There’s also a system that can partially control the car’s acceleration, braking and steering on the motorway. 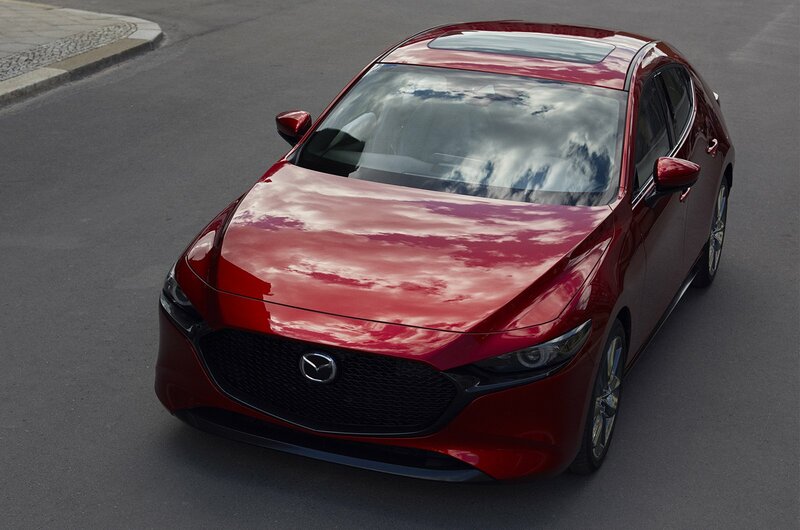 Prices won’t increase dramatically over the current car, so they should start from around £21,000, making the 3 considerably more expensive than mainstream rivals such as the Golf and Focus but cheaper than the premium rivals Mazda wants the car to be pitched against. In what’s perhaps a surprising move, given the general trend away from family saloons at the moment, Mazda is also launching a new version of the 3 Fastback. A rival for the Audi A3 Saloon, the 3 Fastback will go on sale at the same time as the new 3 hatchback and shouldn’t cost any more to buy. Looking for a family car? 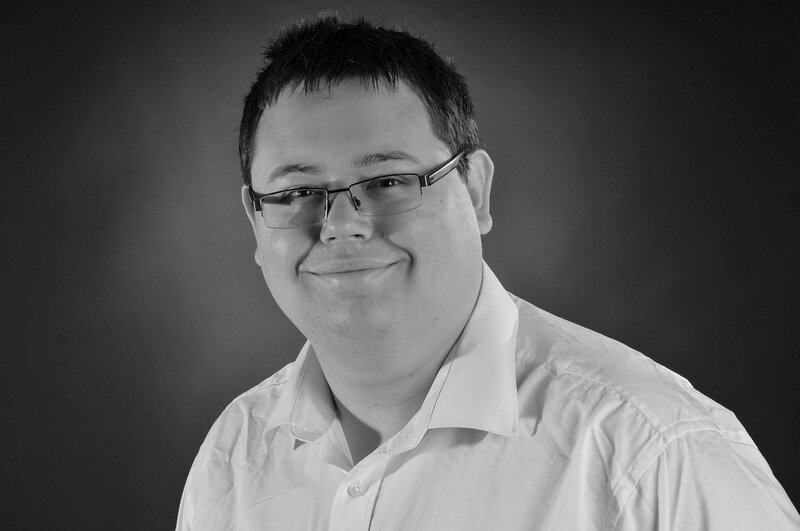 Got £10,000 to spend? You’re in luck – that budget is plenty enough to buy yourself a nearly-new example of one of the best family cars out there, with all the mod cons you’ve always wanted. What’s more, most modern family cars have plenty going for them – impressive safety, good looks, lots of technology on board, and for the most part a choice of efficient and punchy petrol and diesel engines. And at this price, you’re spoiled for choice; whether you want a family hatchback that’s smart and sophisticated, practical and functional, or simply great value for money, there’s something here for you. But which used family car do we rate as the best you can buy for this budget? In such a competitive market, it’ll have to offer something truly special to stand out from the crowd, and blend everything that makes modern family cars great into one fine package. Read on to find out more about the best used family car for £10,000. 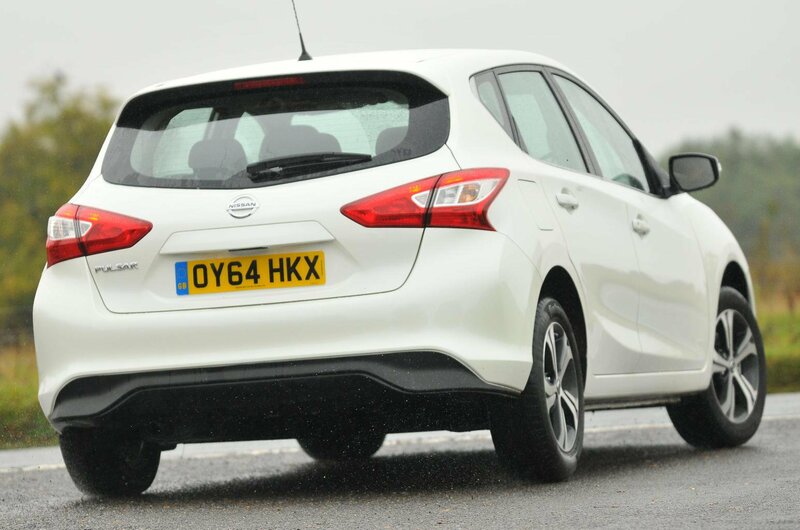 The Nissan Pulsar isn’t a car to set the pulse racing (pardon the pun), but if you’re buying family transport with your sensible hat firmly in place, it's worth a look. True, the dashboard plastics are a bit low-rent and the seats could be more supportive, but on the whole the Pulsar is remarkably well equipped, delightfully quiet at speed and fantastically practical. It’s also exceptionally cheap to buy. 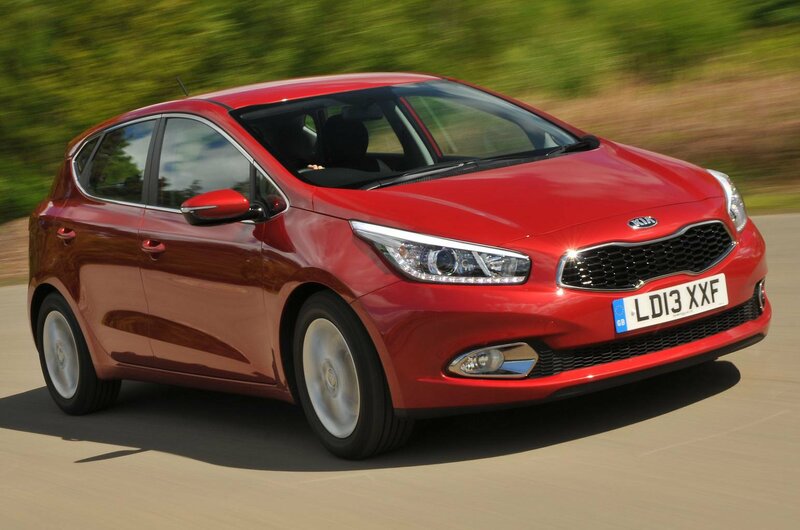 The Kia Cee’d's trump card is its enormous warranty– you get seven years’ worth, although it’s limited to 100,000 miles in the last four of those. Granted, it's blighted by a range of slightly underwhelming engines and it's not that much fun to drive. But if you're not that fussed about those flaws, the Cee’d is a comfortable, spacious and well-built family car that offers you plenty of peace of mind. The Hyundai i30's five-year, unlimited-mileage warranty isn't quite as lengthy as the Kia's, but it's even cheaper to buy, making it terrific value. With an example this new, you’ll still have the majority of that left, giving you peace of mind for longer than you’ll find with most rivals. 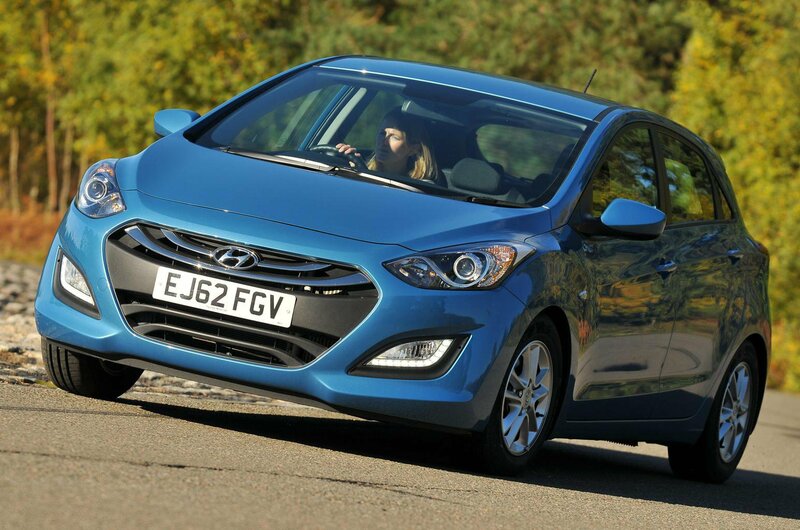 The i30’s a good family car, too, with a spacious, robustly built interior, a comfortable ride and plenty of standard equipment, although like the Kia, it isn’t as satisfying to drive as its rivals and its engines aren’t particularly fuel efficient.